The variables that are also defined in the Command Window cannot be used in a function. Though, scripts (as opposite to the functions) do interact with the variables which are defined in the Command Window. 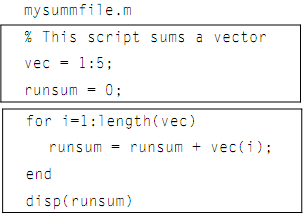 For illustration, the function is changed to be a script mysummfile.